A key element of time management relates to procrastination—putting off until tomorrow the things you could do today. Everyone procrastinates. Sometimes we get the impression that it’s the Perceivers who are most guilty—with their laid-back, flexible approach to life and their tendency to be late for deadlines, etc. Not so. There are ways and times when all types put off tasks. Extraverts procrastinate when something needs to be done that requires privacy and time for reflection. An extraverted student may find it difficult to study a sociology assignment, which requires thoughtful perusal of the course text and time alone to study. They may also put off preparation of documents that require careful thought. They’d rather meet friends and postpone the assignment. Since Introverts dislike group activities—particularly speaking before a group—they’ll do what they can to get out of it or put it off to the last possible minute. This is true of participation in group activities, too. They favor the company of only one or two friends and are reluctant to sign up for groups. Intuitives put off tasks that require their Sensing trait. Sitting down to collect data and then assembling it in a report is the last thing they want to do. Yearly taxes are a good example. Sensing types dig in long before April 15, almost with pleasure. Intuitives dread the day they have to unravel all their expenses of the previous year. When it’s time to think about the future, Sensors don’t indulge in fantasies about what “might be.” They are not at their best when it comes to long-term planning. They are here-and-now people. If a partner wants to reflect on all the possibilities for a winter vacation, the Sensor feels at a disadvantage. He or she would rather talk about their plans for the weekend. Thinkers procrastinate when it comes to expressing themselves about personal issues. They’re slow to say, “I’m sorry,” even when they know they’ve hurt someone and are in the wrong. It’s much harder for a Thinker to say “I love you,” than it is for a Feeler. Many of them think that being “touchy-feely” is a sign of weakness, and that it’s better to be logical and neutral about everything. Feelers are reluctant to get engrossed in tasks where there’s no one else to talk to or get feedback from. They also dislike conflict and will avoid or postpone it whenever possible. They want to be involved with people in positive ways, where everyone ends up with good feelings. Negative confrontations are extremely distasteful to them. When a deadline looms or a decision must be made, Perceivers put off final actions as long as possible. In their opinion, there’s always more information to be collected and examined. Perceivers are often tardy for appointments. They avoid being stressed by clock time. Their attention wanders to other things and, as a result, they’re late. When it comes time for fun and relaxation, Judgers procrastinate because they can always think of things that should be done before indulging in pleasure. Because Judgers may have an endless to-do list, many never get around to the reward of having fun alone or with others. Extraverts need to discipline themselves so they don’t routinely seek feedback about whatever has occurred to them. One way to do this is to schedule “work alone” periods, interspersed with scheduled breaks. Introverts need to discipline themselves to do just the opposite—get outside their private sphere when it would be objectively useful. Even going to a public place like the library can be a challenge for the Introvert who prefers the solitude of his or her study. Intuitives, with their future-oriented perspective, may come up short when it comes to estimating the amount of time needed to accomplish something in a given amount of time. If they are building a sandbox for a child’s birthday, for example, they may run into construction hang-ups that mean the job can’t be done on schedule. This needn’t be a cause for self-criticism. It’s simply one of those things that happen in life for no foreseeable reason. Sensors need to see beyond clock time when they know that foresight or flexibility is needed. They tend to do well with minutes and seconds but fall short when a vision of the future is required. 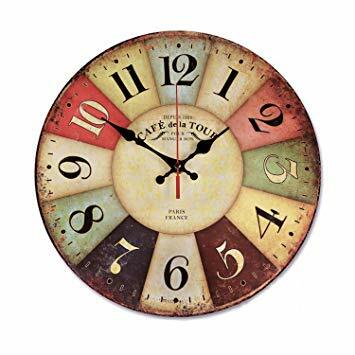 Sometimes they need to act when those around them affirm that the time is right, not when it’s on the Sensor’s schedule. Thinkers have a tendency to set schedules or follow time lines that are compatible with their own needs, without considering the needs of others. Offending people is one problem with the Thinkers’ practice of basing decisions on objective outcomes rather than considering the impact on others. Feelers must learn to say “no” without feeling guilty. They sometimes have trouble setting firm boundaries for themselves—instead focusing on the impact of their decisions on others. While Thinkers more readily impose themselves on others, Feelers more easily take on the responsibilities or consequences of decisions themselves, resulting in the feeling that they’re being taken advantage of. Perceivers need to recognize their predisposition to procrastination, flitting from one project to another. Ironically, they often see this as a time-saving effort, juggling more than one project at a time. The result may be several projects left uncompleted. They would do better to limit themselves to one or two projects at a time. Judgers naturally work well with schedules and deadlines. They risk reaching conclusions prematurely, however, resulting in a suboptimal outcome. They should be ready to listen to the ideas of their more-flexible counterparts, the Perceivers. When Judgers feel a strong need for a decision, such as buying a car, they’ll do well to listen to a Perceiver’s feedback about the details of the decision. They may uncover valuable information that they’d neglected. Procrastination is an equal opportunity trait. Are you attracted to people of different Myers-Briggs types? This is natural. The novelty is appealing, even seductive. Over time, however, you (an Introvert, let’s say) may find that the gregarious, outgoing person you met and have started to date now gets on your nerves. These Extraverts, you think, spill all the beans the moment they meet someone. You hear yourself saying, “Do you have to tell your life story to everyone on the street?” The insult gets you nowhere, of course. The person is just following the mandates of his or her Myers-Briggs type. It’s interesting to consider that as much as we think we prefer the novel and unique in other people, we wish later on that they’d be more like us. In the long run, we may find our attraction soured by people who insist on “doing their own thing,” especially when it departs from conformity. In a family, business, or community organization, such nonconformity may even be regarded as disloyal or slightly dangerous. Introversion and Extraversion are traits that reflect how we deal with the outer world and where we get our energy. Introverts get their inner renewal from private time—time spent alone with their thoughts. They don’t socialize much compared to Extraverts, who thrive on the company of others. Being with people is the source of the Extravert’s energy. Introverts enjoy the peace and quiet of their own company. They often feel that their privacy is being invaded by others. Many develop the skill of tuning out noises from the social world, such as conversations in the other room. Some shut off the radio and TV in the house when they want to be alone and left in peace. They are often seen as great, empathic listeners, but feel that others take advantage of their willingness to listen rather than talk about themselves. Others often perceive them as reserved or shy because they don’t talk much when with people outside their social circle (which tends to be very small). Introverts like to share special occasions with one other person or a couple of close friends. They hate surprise parties. They avoid blurting their opinions out forcefully, but then get annoyed when someone else comes out with just what they were about to say. When they share feelings and thoughts they don’t want interruptions from others, just as they don’t interrupt others when they are sharing. They need to “recharge” alone after they’ve spent some time socializing with others. 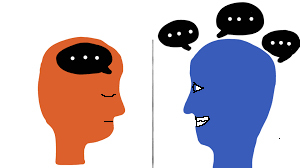 Extraverts tend to talk first and think later. They often don’t know what they’re about to say until they hear themselves say it. They sometimes berate themselves for talking too much. They know a lot of people and tend to count them as close friends. They try to include as many people as possible in social activities. They don’t mind distracting noises in the background when reading or trying to hold a conversation. They’re good at tuning out irrelevant noises. Extraverts are very approachable, whether it’s by strangers or friends. They enjoy conversation for its own sake, although they do have a tendency to dominate the content. They find telephone calls to be welcome distractions. Often they’re the first to pick up the phone when it rings. They often call people on impulse when they just want to communicate some interesting bit of news. They enjoy parties and like talking with many different people, including strangers. They tend to reveal personal information even with people they’ve never met before. When faced with a task or assignment, Extraverts prefer bouncing ideas off others rather than reflecting in solitude. They prefer generating possibilities in a group to doing it by themselves. Frequently Extraverts ask for help from others when doing mundane tasks. When Extraverts lose their glasses, for example, they’re likely to ask everyone in the room to help look for them rather than tackle the search on their own. They need affirmations and compliments from others about who they are, how they look, and just about everything else. They may think they are doing a good job, but they don’t believe it until they hear others say so. If you’re an Introvert, that means you’re introverted most, but not all, of the time. People move back and forth slightly in the Myers-Briggs preferences, depending on the situation. There might be a group meeting of a fellowship you’ve belonged to for a long time, where you find the social interactions stimulating. The chances are, though, that you’re glad to go home again afterward. If you’re an Extravert and have been in business meetings all day long, you may feel worn out and want only to go home and listen to some classical music. It’s normal for the preferences to be modified according to different situations. The balance between the two traits on each of the four pairs depends on a number of factors, but the overall tendencies are usually stable. Are You a Sensor or an Intuitive? More confusion probably exists regarding Sensors (S) and Intuitives (N) than any other type. Extraverts (E) and Introverts (I) are easy to tell apart. So are Thinkers (T) and Feelers (F). The labels themselves are giveaways. Perceiving (P) and Judging (J) require a bit of observation to figure out. Is the person usually late for deadlines and appointments? Does he or she avoid making final decisions on things as long as possible? That’s typical of a Perceiver. Judging types rarely miss deadlines and are seldom late for appointments. They verge on compulsive. They make decisions easily because they prefer closure to open-ended situations. You don’t have to know the Judger or Perceiver for long to figure out which type they are. The Sensing and Intuitive types are more elusive. • Sensors prefer being involved in the here and now rather than thinking about what’s next. They would rather do things than think about them. • They like tasks with tangible outcomes rather than vague promises. They’d rather pressure-wash the driveway themselves than look around for a budget-friendly handyman to do the job. • They believe that “If it ain’t broke, don’t fix it.” If the toaster isn’t working the way it used to, it’s better to improvise to get the desired outcome than take it apart or to an appliance repair person. • Sensors prefer dealing with facts and figures, not abstract ideas and theories. They like to hear about things in a logical order, not randomly. • They read magazines from front to back rather than diving into them anywhere. • They dislike it when people give them vague instructions rather than stepwise details. “Here’s the overall plan. We’ll discuss the details later,” is the type of communication that frustrates them. • Sensors are literal in their use of words. If they say, “Be careful. The coffee is boiling hot,” it probably is. The Intuitive might mean that the coffee is just uncomfortably warm. • At work, Sensors focus on their own jobs and responsibilities rather than their importance to the overall organization. • Intuitives can think about several things at the same time. They’re often accused of being absent-minded. • They’re usually more concerned about where they’re headed than where they are. Future possibilities interest them more that present realities. • Intuitives like to figure out how things work as much for the fun of it as anything else. Toaster broken? The Intuitive is right there to take it apart and fix it. • They’re prone to making puns and playing word games. They enjoy language for its own sake. • They’re good at seeing the interconnectedness between things. They don’t just want to know the facts. They want to know the meaning behind the facts. Reading the newspaper is an entirely different experience for the Intuitive and the Sensor. • They’d rather fantasize about how they’re going to spend their next paycheck than sit down and balance their checkbook. If you’re like most people you’re neither 100 percent Sensing nor 100 percent Intuitive. One trait will tend to be dominant, however. Myers and Briggs specified that the traits are “preferences” suggesting that it’s possible to modify them some of the time. This is particularly obvious in the Thinking and Feeling preferences. While the Thinker may be logical and dispassionate about decisions most of the time, he or she may turn almost entirely to the Feeling preference if the family dog is injured. The Thinker will engage Feeling preferences for the occasion, putting everything aside, including finances, for the welfare of the pet. It’s normal for the preferences to be modified according to different situations. 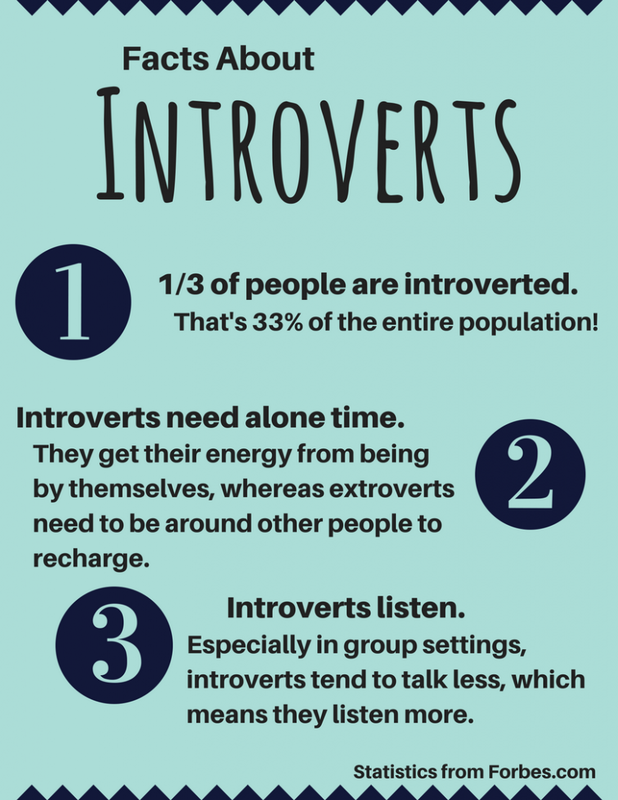 In most social circumstances you might be an Extravert, but it’s natural that you should need some private time as an Introvert now and then. The balance between the two traits on each of the four pairs depends on a number of factors, but the overall tendencies are usually stable. https://beaconstreetusa.com/wp/wp-content/uploads/2015/11/logo.jpg 0 0 beaconadmin https://beaconstreetusa.com/wp/wp-content/uploads/2015/11/logo.jpg beaconadmin2018-10-25 12:09:402018-11-09 10:46:40Are You a Sensor or an Intuitive?